Senior Teacher Michelle Stauffer was introduced to dance through her youth group at the Lititz Moravian Church. This sparked an interest that turned into a passion, leading her to begin lessons under the instruction of Lisa Kalinowski. Michelle studied ballet, tap, jazz, lyrical, pointe and hip hop under Lisa at the Lititz Academy of Dance, where she also studied under Melissa Armer. She became a Principal Dancer of CoJoMotion Dance Company, and continued on to become an Assistant Choreographer. She studied under many renowned master teachers such as Dennis Caspary, Karen Hebert, Jeff Amsden, Shawn Moe, Tony Bradford, and Tyger B through dance conventions and master classes, as well as the Rockette Experience. Michelle has won numerous gold medals in Starpower and Nexstar Dance Competitions. After many years of assisting Miss Lisa, Michelle became a Junior Teacher with the Academy. After completing intense teacher training, Michelle became a beloved Senior Teacher. She is known for her love of children and dance, for her sweet personality, and for her tremendous and creative choreography. 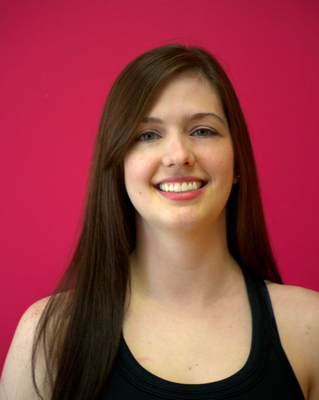 Michelle teaches the studio’s youngest dancers as well as highschoolers. She teaches ballet, tap, jazz, lyrical and pointe; and has become a huge and irreplaceable part of our family. Michelle continues her training through dance classes with Lisa as well as seminars and Master Classes whenever possible. Most recently, she has had the opportunity to take classes at Broadway Dance Center in NYC from teachers such as Dawn Hillen, Cat Cogliandro, Jessica Phoenix, and Heather Rigg. Michelle also recently graduated from Thomas Edison State College where she earned her Bachelor of Arts in English. She looks forward to a future in this field as well as continuing to teach dance.